What I learned is that we need to remember that we are more powerful than any external creation. We are powerful beings of light and we can change everything. In fact, this is why we are here now. We came back from the future to change this now moment. These are the same energies that we went through with Atlantis. We didn’t like what happened then so that is why we are here now. Doesn’t it feel eerie at times and all too familiar? What happened in Atlantis was one of the worst things that ever happened to the planet. Let’s change it, ground crew! Have any of you ever read “E.T. 101, The Cosmic Instruction Manual”? It was written in 1993 by Zoev Jho and Diann Luppi? I recently re-read this delightful little book. In essence, what they talk about is the ground crew and all that we have been learning. They said that “The most important thing to learn is to trust Spirit.” “The most important tool that we need is to use is laughter.” Then the idea is we can sit back and watch 3D implode upon itself and laugh it off. What a charade we are viewing daily in the media with one crook, creep or evil person in power resign or fall off of their pedestal! This is a better show than any Hollywood production, don’t you think? There is not one crooked attorney, or gifted P.R. person, who can bail out these miscreants. In this process, I was telling my friend about using the manifestation energies. She had not seen a rainbow in 20 years, and we saw a rainbow a couple of days previously. See how much fun it is to play with these energies! It surely beats 3D! See the beauty it has. When these magical occurrences come. To taste the sweetness and delight. That were out of sight. And knowing you can tap in. Go about changing the matrix. Some people are expecting large sums of money to come to them from various programs. I still get the sense that we have to rid the earth of the dark forces in order to receive these funds. There are numerous sources of disinformation that can dis- empower the lightworkers by keeping them waiting for this money. In the meanwhile, the dark is still being eradicated from the planet. It is called the re-set or re-evaluation. Recently, I have concluded that we must first re-set or re-value ourselves. When we do this, we do this internal re-set, we can work with the manifesting energies and create whatever we need. When the large amount of abundance comes we won’t be feeling so needy. We will have belief in ourselves and that is the most important thing to learn. One other important lesson is that we need to get comfortable with the unknown. Have you noticed how quickly everything is changing? It feels totally unpredictable and fluid. We have to go with the flow. It’s weird. Greetings, I am Mira from the Pleiadian High Council. I come to you today to help you incorporate some of what is going on with the planet at this time. There is much disturbance on the planet and around it. Vacancies are appearing. You might find some on the planet one day and gone the next. This is occurring through various means, accidents, illnesses, self-inflicted departures, and other ways. Some do not want to experience the ascension and they feel need to leave. Other places and beings are calling them. This is a true battlefield at this moment in the earth’s history. This is called the time of the great awakening and the great departure. Some have lost hope and others want to go be on another planet. Some are leaving in groups for they have contracts to come and leave together. Others cannot handle the higher frequencies of light. They are not comfortable with the loving energies. Although it may appear the dark is winning, this is not so. They are diligently working to maintain their old stronghold to little avail. Do not believe what you hear in the mainstream media. Most of you should be able to read through their lies and manipulation. They are transparent and desperate. Even the alternative news on the Internet is suspect. The dark gives out some truths and then fold in lies. Some people with fame and reputable stature are falling from their pedestals. Look at all of the babies that are being born right now. These souls cannot wait to experience this amazing time on the planet. They are powerfully awakened beings of light. They came for divine purpose to be the leaders of the new earth. Bless them and watch them shine. They are your beloved teachers and examples of how to live in higher consciousness. Be aware of what is changing around you. Take notice of what no longer serves you or who you are no longer comfortable around. Pay attention to the beauty of nature. Take nothing for granted except your enlightened pathway with the Creator and others of similar mind. Consciousness is what you develop in this earth plane and what you take with you when you leave your physical. Your soul travels with you also. The brevity of this report is intended to clearly show you succinctly what to do. We cannot do it for you, but we are with you. We are completely committed to you and have your best interests at heart. Remember to look to the skies, to ask us for help and to never give up. You are the masters who are here to accomplish the ascension of the earth. You will be successful. We are together and count on you to be the gifts of light and to do your jobs. I am Mira with loving blessings. My annual retreat at Mt. Shasta will be from July 18-21. We had a fantastic time last year that included a day time sighting of an Arcturian ship. Who knows what we will have this year? I am changing the way I do my work. As a spiritual counselor, intuitive healer, reader, teacher, and channel I am incorporating more laughter into my work. I have always wanted to be The Fun Channel, so I invite you to have laughter as a part of your healing. Try it! You might like it and find yourself in a higher state of consciousness after your session. We all need heart healing, so this helps heal your heart too. It’s not that your issues are not serious but perhaps we have taken ourselves too seriously and it is time to lighten up. My new rates are: $70 for 30 minutes and $35 for each incremental 15 minutes. Current clients will have a 10% increase from $120 an hour to $133. This is a time of profound healing. We can have a lot of fun as we ascend, and 3D unravels. It is tricky territory and we get to dance the sidestep between the old and the new. Miracles are awaiting us and are there for the taking. “It’s all designed with God in mind.” This is what came to me the other day. We must acknowledge that there is a divine plan in action. The following is a 15 minute video” Was Trump Chosen by the Illuminati to Deceive the World? “Q” [Nothing Is a Coincidence]: Capt. Dave Bertrand, Ret. +Videos | Opinion – Conservative. This is not about politics. It goes back to the late 1800’s when Baron Trump, a poor little rich guy, was written about in a book. There are other examples of Trump in an old Western, a guy with orange hair; Trump was talked about in some 20 Simpsons episodes on television, along with some other examples that I can’t remember in detail. The video is mind-boggling to me. I don’t know if it means we are in the matrix, some other timeline, are a part of holographic tampering, or something else? Perhaps this is predestined. I do know that we came back from the future as Lightworkers to change this now moment because we did not like what happened to the earth. In the San Francisco Bay Area on February 5, we had many rainbows. I saw three or four of them, with one being a beautiful double rainbow. It was magical. What I saw in front of the darkest clouds was rainbows. I’ve never seen so many rainbows in one day. This meant to me that even though it feels as if we are in the darkest hour on mother earth, there is always something beautiful. Today I woke up to a rainbow. Waiting for me to see? For it’s all good and new. There’s a whole new stage. To be here right now. We will live in love and light. Speaking of peak experiences, (like rainbows, and snow on the mountain tops here in San Francisco bay area), on January 26 when I was driving over the San Francisco Bay Bridge, I had the most profound fifth dimensional experience. My heart felt so much love, warmth and happiness, that I got blissed out. I have had some other experiences of great joy and happiness recently. This energy is how we are going to be feeling in the fifth dimension. We are going to be coming from our hearts and feeling the Jubilee energy. It is almost impossible to completely describe the feeling, I just want you to know that it is here. There are probably many other people who have been having these feelings too. When you feel it, hang on to it for as long as you can, and let yourself be happy. Bring back the feeling whenever you need it. How are you adjusting to living in the fourth and higher dimensions while you have to deal with the third dimensional material world? I’m finding it increasingly challenging. It’s not as easy to accomplish what needs to be done in 3-D as it used to be. Some examples of this are: My credit union of 30 years moved to another town that requires freeway driving and traffic to get there. Favorite foods are disappearing from the shelves yet I am finding some replacements that I like better. It is more complicated and onerous at times to work with technology for financial transactions. It’s taking longer to get things done. Old songs don’t have the same ring to them. In fact, it is challenging to listen to ads on the radio and all of that 3D palabra. It feels strange to have deal with money or to even put importance on it. Some businesses are going out of business. We cannot count on things being the way they used to be. They simply are not. The flow in the material world feels choppy. On the positive side, it seems that we are magnetizing more people of like consciousness. It is so fun to get together with spiritual family. I get the sense that we could be part of Galactic councils, and that we could be working together as ambassadors and teachers when we shift into the fifth dimension. We are getting reacquainted and our souls notice when we meet. Many Lightworkers seem to be having blissful fifth dimensional experiences. We are more capable of clearing and releasing old patterns and beliefs that no longer apply to our consciousness. Many people are still doing clearings. You will notice when issues come up that you will want to release them because they no longer belong to you. It also feels like we can manifest more easily when we are coming from 5D! I have had some instantaneous manifestations! I am pleased to speak with you. We have much to share. Your days are rolling by quickly. We understand that you have been working diligently to keep the peace within and around you. You have many resources to assist you with this even though the dark forces would like to prevent you from finding the truth. They will not be successful because you carry powerful light and the mastery with which their advanced technologies cannot interfere. They have underestimated you and your capabilities. We appreciate all that you are doing for the Ascension of the earth. You understand that we from Pleiades work with other planets to assist them with their Ascension. You are the most exceptional beings of light that we have ever seen. We understand how much the Creator has entrusted you in this most important shift of the ages. All of creation is waiting for the earth’s Ascension so they can evolve also. The dark forces are lagging behind with their nefarious plans to remain in control. They are beginning to see that they are losing their hold of the earth. Much still remains to be done yet most of their removal from the planet is complete. This is when the implementation of the plans for the transfiguration of the earth and the new way of life begin to occur. The templates are in place. Adjustments have to be made according to variables over which we have no control. Every day you can ask yourself who is in charge now? What can I do to be even more aligned with the divine plan? What can I do to improve life where I live? How can I participate with other like-minded people to remove the falsities under which I have been living? Who has benefited the most by some of these laws and decisions that are made that are not for the highest good for life on the earth? Where does the light need to shine so that justice can prevail? How can more and more light focus on the good so that humanity can live in abundance, health, happiness, safety, joy, love and peace? You will be given everything you need to accomplish the work that is set before you. Your bodies are changing. Your DNA is being activated. Your brains are morphing into greater intelligence. Your intuitive abilities and awareness are expanding. Your hearts are opening to the utmost intelligence. Your bodies are becoming more sensitive and conscious of what is good for them or not. You are becoming refined and you will become lighter. The living libraries that you contain within are being activated along with the earth’s living libraries. There is a boundless unfolding of your magnificence. We Galactic’s are excited about meeting you and working together to assist the earth. We are your family. We surround the planet and are here to assist in bringing the earth home. 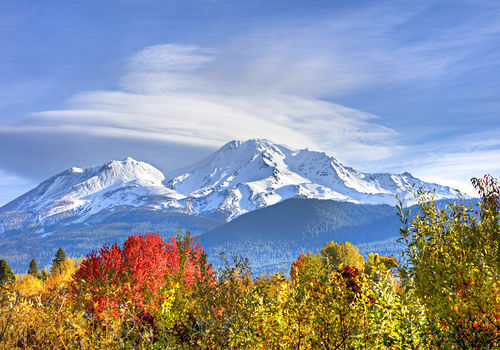 It is time to start planning to come to my annual Heart of the Mountain Retreat at Mount Shasta. It is from July 18-21. Please check at the beginning of this website to learn more about the retreat. You may e-mail me at: vdonner99@gmail.com if you are interested or call me at: 925-287-8976. Last year we had a fabulous time! It was peak experience, at the 14,162-foot mountain. If you’re interested in having a session with me for spiritual counseling/guidance, readings, healing, or clearings please schedule your session soon. I am going to be raising my rates after many years. It has become increasingly expensive to live with higher rents, etc. but also with costs to maintain my website. We are becoming higher dimensional beings and remembering who we are. We are becoming enlightened with information that make us increasingly aware. Our job is to keep holding the light and raising our vibrations. Our open hearts and their intelligence will bring us home. Happily, 2018 is gone. Most seem to conclude that it was a challenging year. Right now, some of us feel infatuated with this year 2019. When I awakened the morning of January 1, things felt different and fresh. It seemed as if we had removed darkness and that we were living much more in light. Perhaps we have a sense that we are in the throes of the last vestiges of the dark forces. There are many rumors of powerful forces that are working to change the very workings of every aspect of life on the planet. What are some of the possibilities? The elimination of the Federal Reserve; the arrest of well over 60,000 beings who have committed crimes against humanity; a new financial system and global reset; a new currency in the US and other countries backed by gold; monies that have been taken from the people being returned to them; new governments across the planet; the elimination of the cabal; the completion of the removal of the dark forces from the planet; new technologies for healing and manifesting; the elimination of the mainstream media particularly in the US; disclosure of the Galactic’s; the elimination of the old systems such as education, healthcare, legal, financial, and anything that doesn’t serve humanity. The days of service to self instead of service to others are nearly complete. In Lee Harris’ January 1, 2019 energy report https://www.youtube.com/watch?v=8mWY7R0pHds&t=773s we will be experiencing a rebirth of the heart. We will be listening to the heart and letting the heart lead the way. Lee talks about how many Lightworkers are most accustomed to giving to others and not to themselves. This year we will be focused more on allowing what we need, as we listen to our hearts on a daily basis. Our heart intelligence is at an all-time high on the planet. In fact, the heart is thousands of times more powerful than the mind. We are beginning to align with the heartbeat of the planet as well as the universe. We need to fill up our hearts soul energies so that we can continue to raise our own frequencies as well as that of the planet. In December 2018, he was arrested for corruption and spiritual/sexual abuse. Over 700 women came forward to join this claim. We can be sure that the dark forces are shaking in their booties. Never before have they lost such footing. There is so much light shining on the planet, that everything has become transparent. For instance, if you look deeply at people in government some can see the reptilian energy in many. Some people that we thought were light are coming up dark, and vice versa. Are shaking in their booties. That they are not the cutest of the cuties. That could always be beat. And that they would get wet. Would become clearly in sight. That they had to be on their toes. And that they wouldn’t have to sit in jail rows. Their nasty selves is where they abide. They are shaking in their booties. Get ready for the show. On the evening of January 11, 2018 when I went to put my garbage out, I saw a ship. It was moving horizontally across the sky like a plane without lights and all of a sudden it disappeared. It’s always a thrill to see a ship, so of course, I had to call my friends. Last year I set the intention to become more Galactic. I am sure the Galactic’s get a kick out of me because I am always surprised and excited when they make contact. I just know I have a bit of the galactic touch! On December 20, 2018 there was what was reported to be a mysterious meteor in the sky in the San Francisco bay area. It appeared like a “Q” to some of us. Greetings: I am Mira from the Pleiadian High Council serving full-time through the Ascension Process. From our perspective the Ascension Process is proceeding rapidly and effectively on the earth. The energies are perfect to set the stage for the new. The energies of this new year 2019 are clear and clean. They reflect the illuminated cleansing that occurred in 2018. These energies released expressions of darkness that had to be cleared. The horrific situations were beyond the understanding of those with heart and soul. There will be long-term ramifications of those events. Those involved affected everyone, helped people open their hearts, and helped people to see how important it is to help each other and to come together in oneness. What happens to one affects everyone. Many sacrificed their lives, their livelihood, their homes, family, pets and their well-being. Needless to say, many lessons were learned and are still being learned through these heart wrenching events. The planet is in a state of flux. It is important not to take things for granted and to be aware. Being grateful that all needs are being met is integral to living daily on the earth right now. In this new year there will be more shocking news, earth shattering events, major political upheaval and heart awakening. Humanity will begin to learn more of the truth about how they have been living, and the truth behind the scenes. It will be given in doses so that it can be processed at a rate that will not overwhelm the masses. This is part of enlightenment so that humanity can be freed. Much is going on behind the scenes that cannot be revealed this time. The earth Council, the Light Alliance, the Angelics and Masters, are all working together to assist in aligning the energies that are not for the highest good of humanity. We are looking out for all of you. Clearances will be given at the appropriate time for information and action. Those who are part of the Galactic’s will become further involved with their missions. They will be coming together as teams for divine assignment. There is a lot of work to be done. Re-settlements will also need to take place so flexibility could be important. We want to remind you to take excellent care of your selves and each other. It will all be worth it because the shift is nearly here. If you feel you need extra assistance please call upon us. We hear you, know you, and are with you. I am Mira sending you love from the earth Council, the Pleiades, and the forces of light. It appears that we have a star-studded 2019 ahead of us. As we make way with all of the changes, the revelations, and the light powered events, we will surely know that we are ascending. We have all the help that we need to fulfill our missions. Stay in love and faith, and enjoy the show.